According to LinkedIn, the average yearly turnover at a company is 15 percent, 10.3 percent of which is entirely preventable. Losing workers and having to replace them isn’t cheap, either – LinkedIn noted that the average cost of avoidable turnover is $75 million for U.S. employers each year, and these companies could save $7.5 million by just reducing turnover by 1 percent. In addition, worker turnover is projected to increase this year. HR professionals should be prepared to see many workers start job hunting if the company doesn’t implement strategies to keep employees around. According to a recent survey of 3,008 full-time workers by CareerBuilder, 1 in 5 want to change their jobs sometime this year. The biggest reasons why these employees plan on leaving their current employers are because they are too stressed, don’t have a work-life balance, lack professional development opportunities and didn’t receive a raise last year. 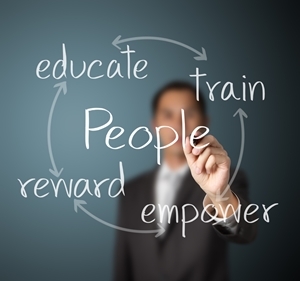 So, what can HR professionals do to entice employees to stay with the company? HR departments need to partner with company leadership and develop sound employee management strategies that drive worker engagement and satisfaction. HR professionals should also keep an eye out for signs that workers may start leaving the company, and develop payroll strategies and retention techniques that encourage employees to stay. The first step to reducing turnover is to understand and address the reasons behind employees leaving the business. Is it because they couldn’t perform their jobs due to not having the needed skill sets? Is it due to mismanagement? According to an article in TLNT, not providing professional development opportunities and having incompetent managers are two common reasons workers quit their jobs. HR professionals need to get down to why employees are leaving the workplace before HR departments can start strategizing to keep them there. The strategies HR professionals embrace to retain employees don’t have to be expensive. HR departments should consider implementing a recognition program to showcase workers who are top performers at the organization to boost their morale without hitting the company’s bottom line. They can also provide workers with a forum in which to speak about issues in the workplace. An article in Inc. magazine noted that time management training and professional development opportunities are relatively inexpensive ways to show workers the company is invested in making their jobs and lives easier. Other strategies include providing raises when possible. While this human capital management strategy may not be financially feasible for many companies, sometimes rewarding workers for their loyalty and hard work through monetary means can make a difference. HR professionals should then look for workers who may be looking for new job opportunities. Bloomberg suggested two specific signs HR departments need to watch for: workers wanting to take on external-facing projects and building up their professional networks. Employees who want to get their names out in the industry often are the ones who are willing to go to conventions and vendor-facing assignments, according to Bloomberg. Whenever a worker is also busy networking, it can be a red flag that the employee is looking into career advancement outside of the organization. If HR professionals or company management see these signs, they may want to develop a strategy to retain the worker. Sometimes, it takes offering higher pay and professional development opportunities to retain these employees.